A song I used to sing with my daughter while I brushed her hair. Now she’s nearly 10 and tomorrow, she takes the Florida Comprehensive Assessment Test Writing (FCAT) exam. She has been labeled as Gifted by the school system, and has always performed well in class, on exams, and frankly, in anything she attempts. She is a girl who will push herself to do well, but this is beyond the stretching of healthy childhood concerns. 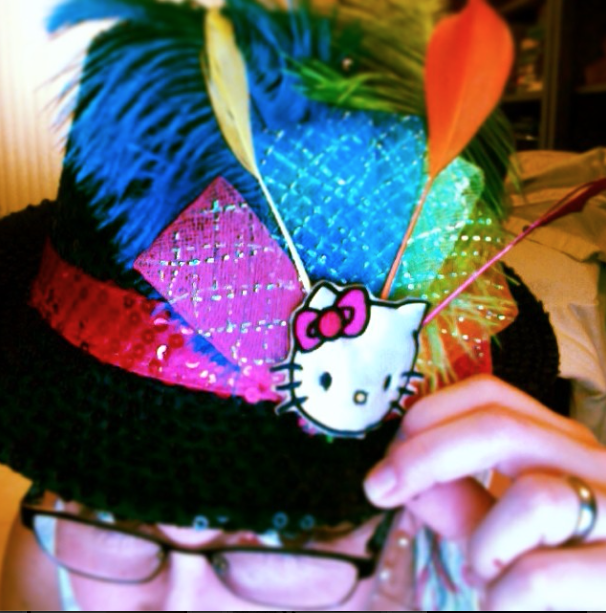 My (borrowed) hat is off to 4th graders tomorrow. I am so sick and tired of the FCAT Writes. I used to think that all of the buzz and hubbub around it was just absurd and sensationalizing the topic, but you know what? It’s a nightmare. You know who’s worried about the stupid exam tomorrow? Is it me? Am I pacing and chewing my nails and freaking out, wondering how my kid will do? The school has managed to get my, smart, bright, gifted girl worked up to a point where she’s nervous and on edge and terrified that she won’t do well on the exam. I understand that the FCAT is important. I understand that the schools and teachers are all rated based on how their students perform on this test. But frankly, my daughter should KNOW she has this one in the bag. She shouldn’t be fretting and worried that she won’t do well. She shouldn’t be getting 3’s in class on her essays (the highest score is a 6). If my kid can’t do well on this test, no one can. Thanks Florida, for making sure my daughter cries her 9-year-old self to sleep at night thinking she’s not good enough. Thank you School, for passing this inane pressure down to my daughter. Especially after I, like NYMag suggests, don’t praise my children excessively — nor tell them how smart they are. The most I do is let her know that she often understands things more quickly than other children, and that she’s lucky she’s barely ever needed to study. Thank you School, for giving her low writing scores all school year, so that she thinks that 6 is an impossibility, and so that when she DOES earn a 5 or 6 for her writing, instead of being proud, she’ll probably just think that she got lucky. Thank you FCAT Writes. By the way, here are some FCAT Writes Score samples, and… I have to laugh about the thought of how she’s even possibly a 3-Writer. Thank you 4th grade. If my daughter’s dream of writing books is crushed this year, I’ll never forgive you. Smart, bright students should know that their teachers have been preparing them for this exam all year long, and not be much more worried about it than they would be worried about a routine social studies exam — knowing they are ready and their hard work will pay off. Previous Post: My first 5K was awesome!